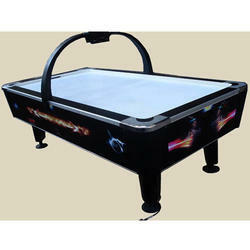 We are the leading manufacturer of Air Hockey Table. 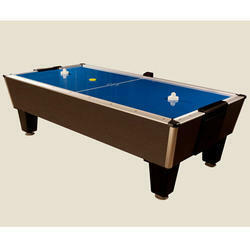 Size 8' X 4' ht.32"
* Dimensions: L x 96.0 " W 48.0 " H x 32.0 "
* Easily assembled for home installation. at industry leading prices. 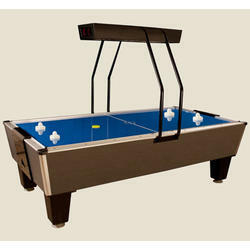 Our range of tables is used at houses, offices, sports bar and others for air hockey, which is one of the popular games. 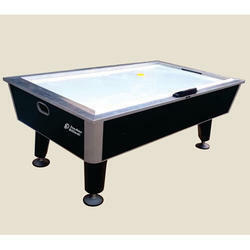 Moreover, the entire range is designed in compliance with the international quality standards. 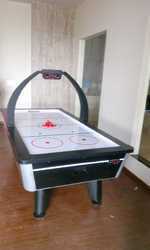 Provided to the esteemed clients is the finest range of 8 Foot Air Hockey Table at highly competitive prices. 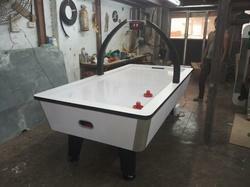 These Air Hockey Tables are made using high quality raw material like wood and others procured from some of the most renowned vendors of the industry. 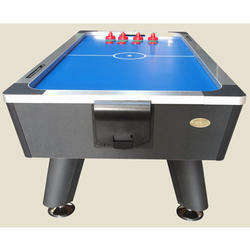 Moreover, the board has excellent railing so that mallets and pucks remain on the table and do not fall down. 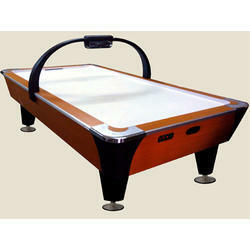 We are offering Wooden Air Hockey Table to our clients.